inoxPRES GAS is the Pressfitting system by Raccorderie Metalliche in stainless steel for any natural gas and LPG gas applications. 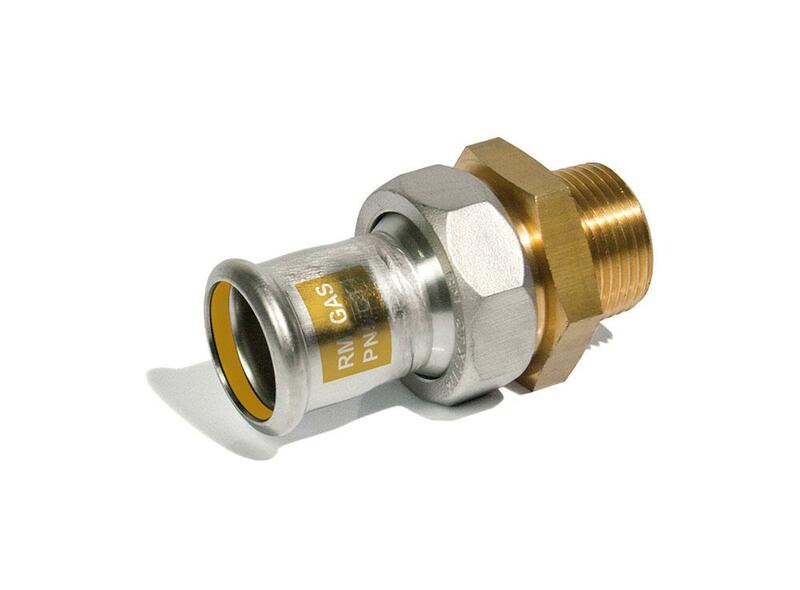 The Gas range stands out in comparison with the standard range due to the its yellow marking on the fittings and the fitting of a yellow NBR/HNBR O-Ring in the toroidal chamber. 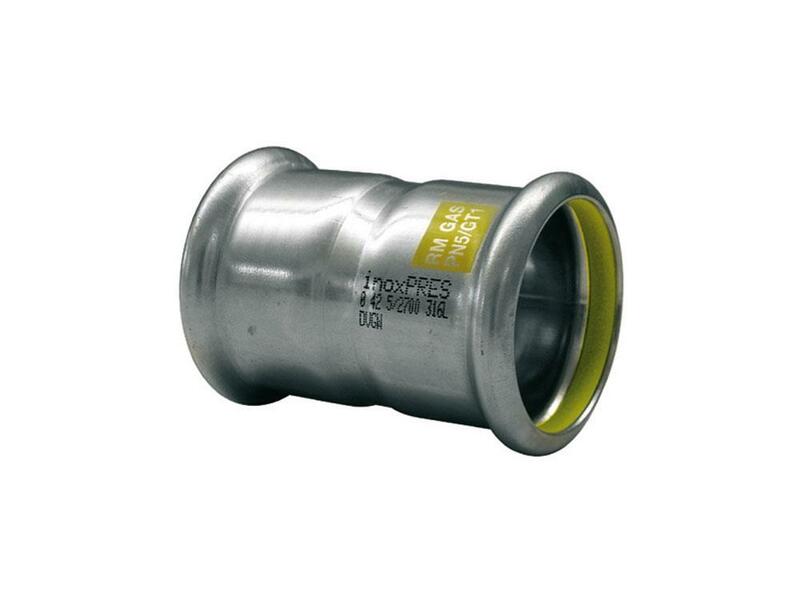 Materials Fittings are made in 316L steel and available from 12 to 54 mm. 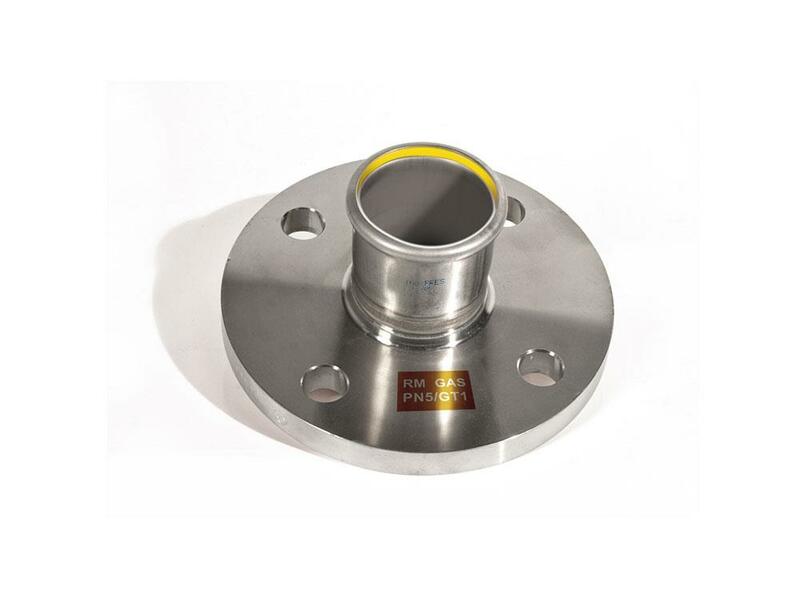 Fittings are fitted with a “M-shaped” profile toroidal chamber, optimized thanks the RM experience. Any joint is fitted inside, at the end of production, with an O-Ring, with a patented profile. The inoxPRES GAS dedicated O-Ring is yellow, in a special HNBR/NBR compound specific for a similar application. The complete range of aesPRES GAS pipes and fittings is approved by many certified international institutions. It was granted 10 specific certifications for natural gas. A complete range of fittings and pipes Ø 15 - 108 mm in 316L steel. 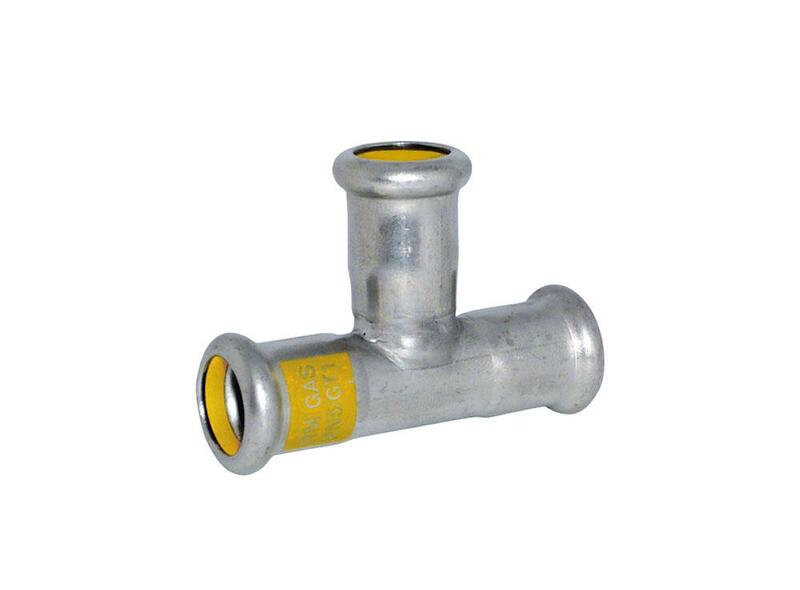 A wide range of reliable fittings fitted with the patented RM yellow O-Ring in HNBR/NBR. A wide range of pressing machines certified for the use of the inoxPRES GAS system. A solution offering an exception quality-price ration in terms of product and service as well. Stainless steel to transport natural gas is the best solution when the transported gas purity and the plant installation matter. 316L steel provides for the best features in aggressive environments as in case of any industrial processing factory.